Happy 189 Days Until Your Birthday!. . HD Wallpaper and background images in the The Looney Tunes Show club tagged: the looney tunes show season 1 best friends. 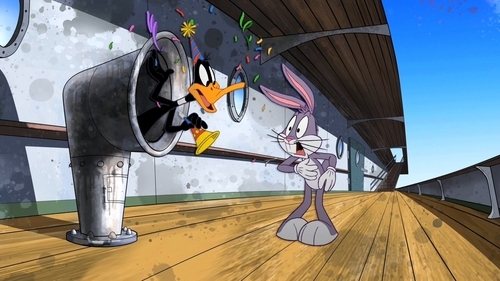 This The Looney Tunes Show Screencap might contain rua, cena da cidade, ajuste urbano, cenário urbano, cena de rua, cidade, urbana definindo, balão meteorológico, tenda de circo, parte superior redonda, topo, tenda circus, top grande, top redondo, top, circo, redondo topo, and no topo.